I mean like......I know their duty is for good and bring balance and stuff, but could an Avatar turn BAD if they wanted to? (Me being an Avatar expert) I think that an Avatar could be "evil". An Avatar that is evil could easily continue with is plan to do what ever it is he/she wants to do. Using his/her spiritual powers AND elemental powers he/she could change the spirits and elements against humans. Doing this would turn the world into complete horror, the mur between the spirit world and the real plane would be indifferent and people and spirits would be against each other because of what the "fail of an avatar" taught them. Spirits can be trained into things easily and can change with no warning. For example) Remember in the episode with Hei Bai? 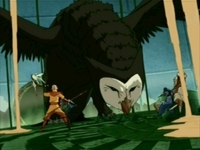 Well, he was wild until Aang could calm him down par simply talking to him a bout a seed. Example Two) Also do toi remember "The Library" in season two? Well, seeing Wan Shi Tong, we knwo that spirits can go from completely calm and "friendly" to hostile par invading their privacy and doing something they obviously didn't want toi to do. Thus, the Avatar could make the spirit angry and that one spirit could destroy anything. (From the examples of Wan Shi Tong and Hei Bai. So yes, an Avatar could become evil and terrorize people. Yes, but they will eventually realize their destiny and be good again. Considering the fact that everyone sees the Avatar as one that maintains balance and stands for all that is good. This portrayal has been indoctrinated into people's minds. So if the Avatar became evil, people would see it as him/her still being good because the Avatar has been trusted with his duties since the beginning of time. Therefore, people would not notice if the Avatar was evil because all they would see is good. Thus, it is completely possible for an Avatar to be evil, if he/she pleases to do so. My God, somebody needs to write a fanfiction about an Avatar who turned evil and had to be overthrown. I would definitely read that. And yes, I think it's possible. Why not? Frankly I think it would be awesome if there was an evil Avatar. 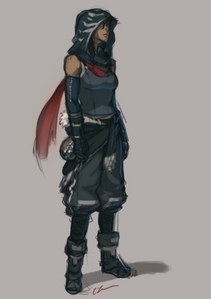 I actually hope Korra turns into an evil one, she has the right attitude for it and is going down that path. Yeah, it's possible for an Avatar to be evil, just like it's possible for any person to be evil. Luckily, none have been evil so far, at least none that we know of. Korra's pretty selfish in the new series, but EVIL would be a bit of a stretch, I think. Could an Avatar be lead down the path of darkness and end up as an Ozai-like threat, someone who is trying to do what he/she thinks its better for the world but just screwing it up even more. Yes, I think that could happen, very easily in fact. They have the power to walk in on meetings between world leaders and sway their opinions, we see that even kid-Avatars are donné blanket authority(both series montrer this) in the respective areas they're in, so seeing an Avatar slowly begin to be corrupted par this and manipulated to the path of evil could very easily happen.